GearBest 11.11: Are You Ready? GearBest 11.11 Singles’ Day shopping bonanza is back and this year it’s going to be much more exciting for consumers. It’s time to get your Super November Savings On and prepare the Christmas gifts. Are you ready? 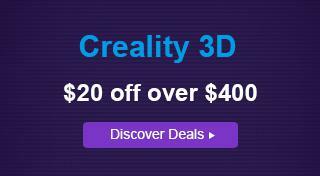 WE RECOMMEND YOU TO LOG IN FIRST TO GET MORE DEALS AND BETTER PRICES! The first phase of the 11.11 promotion is the pre-heat phase, which will begin from 01.11.2017. Compared to last year’s double 11 promotion, it’s a bit earlier, but also more exciting. 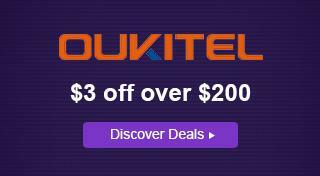 You can not only find exclusive prices for the TOP products of GearBest, but also have the 11.11 exclusive coupons for your favorite brands like Xiaomi, Vernee, Teclast, etc. Deals just from $1.11! Register or login your GearBest Account and subscribe the ‘GearBest 11.11 Promotion’. The GearBest Newsletter system will send you an e-mail once the event starts. GearBest will offer a small amount of handpicked items at the annual lowest prices. Two waves every day, at 00:00 UTC and 16:00 UTC another special time wave at 9:00 UTC Nov 7th. There will be 8 products in each wave, 4 of them will be sold at half price!Each product has 20 units! GearBest 11.11 flash sale offers special offers in incredible discounts. Products cover the bestselling smartphones, tablets and other consumer electronics. GearBest will update products every day at 16:00 UTC. 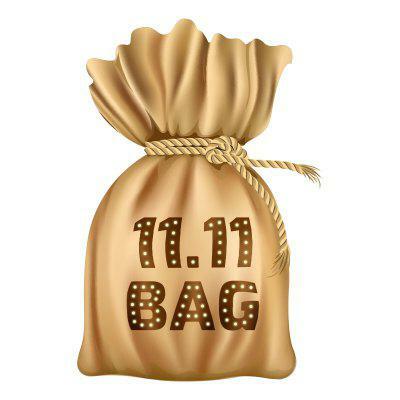 Lucky Bags are upgraded and also available in 11.11 promotion, which will bring more surprise to you than you expect. And more cool add-on deals are waiting for you. You can cost $1.11/ $11.11 for an add-on item when the order reaches $60 / $99. 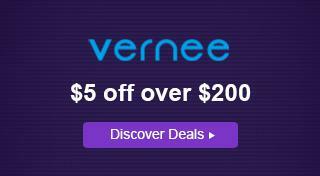 GearBest created special Promotion codes for the top brands like Vernee, Oukitel, Creality 3D, and so on. When your order reaches the specified value, you can enjoy an order discount up to 50%. More top brands with more discounts are coming. Don’t miss your favorite brand! Open Lucky Box (01.11 – 13.11): click and open the lucky box to win cool gadgets and coupons. Lucky Draw (01.11-20.11): try your lucky chances and win the cool prizes and coupons. Warm Tips: Each customer has 3 free chances to play druing the game time. But to share the page to facebook, twitter, vk, google or reddit, you can gain more chances (get 1 chance for each channel, up to 5 chances each day). For lucky draw, you can also consume 20 GB points to get one more lucky chance. Share your order to below social platform with Gearbest 11.11 main page link and @Gearbest official account,you will get a chance to receive your order for free!each platform will announce one winner each day! Winners will be manually selected! You can also find more special offers via visit the USA Warehouse Promotion page. Various best-selling products with up to 70% off discount are waiting for you. The category promotions will also start in the pre-heat phase, covering the popular categories like Smartphones, Smart Home & Outdoors, RC Quadcopter & Toys, Fashion & Watches, etc. The main event will start on 07.11 and end on 13.11. Continueing the surprises of pre-heat phase, there are more exciting events. 50% off flash sale, all-site Category Deals, more top brand discounts, etc.. Just stay tuned with us. We will keep updating in the coming days. GearBest 11.11 Singles’ Day Promotion – a shopping bonanza for shopping lovers who love to shop from GearBest.com! We wish you a nice shopping experience with the GearBest 11.11 Promotion.